The sauntering tension packed post-rock that rushes through the emo genre in opener 'Don't Ever Tell Locke What He Can't Do', immediately enunciates the fact that this band's collective power and thrust takes them immediately passed many of the derivative lame-wads that are clogging up the this end of the music market. The Get Up Kids sharing a sabbatical with Funeral For A Friend gives an indication of the soaring nature that is at its most prevalent in the first half of their third full-length offering. This follow up to the blistering 'Are We Really Happy With Who We Are Right Now', demonstrates that the incessant touring done for that album has aided their tightness and understanding. 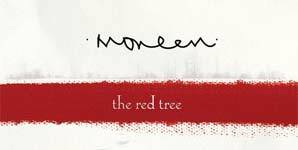 Moneen's focus and fiery nature is captured so beautifully in the sinister 'Bleed And Blister', as the grinding guitars provides the perfect accompaniment for Kenny Bridges' potent and punchy vocal attack. 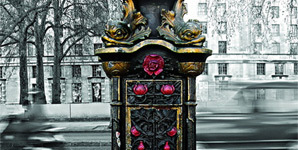 Calmingly harmonious interludes add spice to the gritty bite that snatches your attention in tracks such as 'The Day No One Needed To Know' and the big business barracking, 'This Is All Bigger Than Me'. The tempo turns to cruise control towards the end, as bracing moments are provided with the help of an aching heart in 'There Are A Million Reasons For Why This May Not Work â¦. And Just One Reason For Why It will', as well as in the final track 'The Song I Swore To Never Sing'. This album is music's equivalent to a thrilling movie featuring all the usual suspects of anger, resentment, heartache, twists and turn and intrigue.